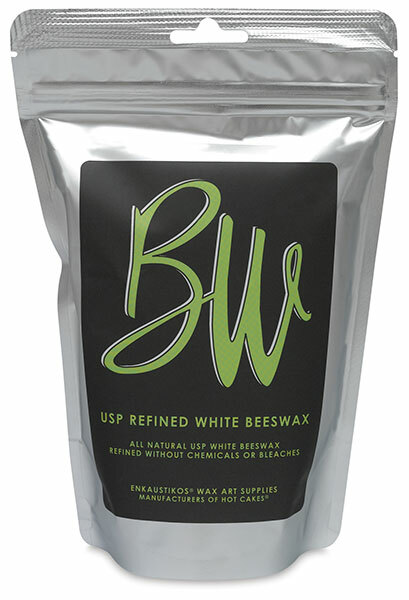 This beeswax is 100% natural, U.S. Pharmaceutical Grade (USP), and has been filtered and purified without the use of harsh chemicals or bleaching agents. The bags contain tiny wax granules, making it easy to use in small or large quantities. Enkaustikos Hot Cakes paints and mediums are all made with this pure, refined wax. 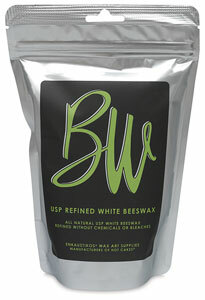 Both white and yellow wax are translucent, the yellow offering a deeper color than the white.